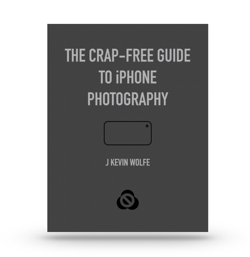 This is the companion site to the Crap-Free Guide to iPhone Photography by J. Kevin Wolfe available at iTunes. It's DRM free so you can read it in any ePub reader. Below are my latest blog articles to help you shoot better photos with your iPhone.